On Saturday, September 29, Hemp Connoisseur Magazine hosted the 7th Annual THC Championships. Violet Gro served as this year’s cocktail sponsor, allowing attendees to enjoy their signature 420 Violet Martini while leading companies in the industry competed for “best in class” recognition across over 20 categories. Based on independent judging from industry connoisseurs and users; Connoisseur’s Choice, People’s Choice, and Overall awards were given out in areas including best flower, best concentrates, best edibles, and best CBD products. The month-long judging process ended in “one of the biggest parties of the year for legal cannabis,” celebrating the achievements of numerous deserving companies. It was truly a night to reflect on the ever-expanding professionalism of this industry as they work to advance the quality of cannabis products that are produced for both medicinal and recreational use. 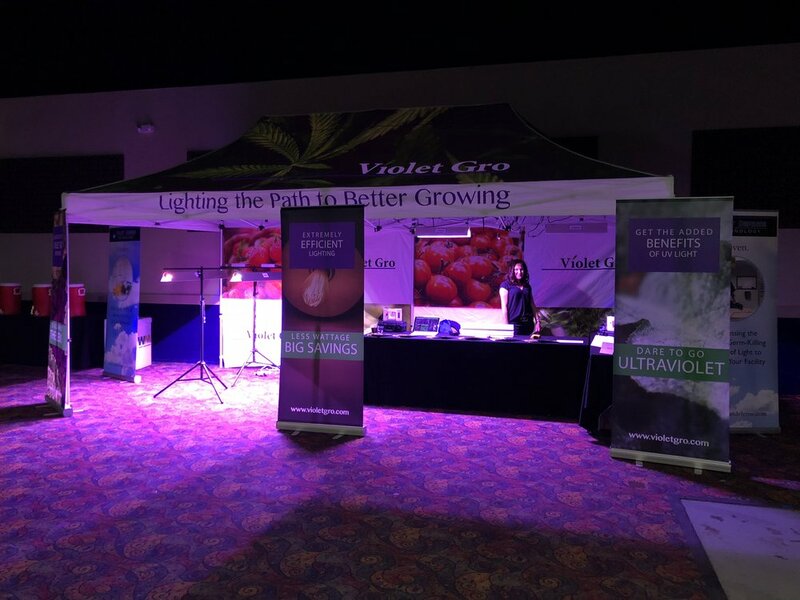 The Violet Gro team was on site to help celebrate these achievements and to spread the word about our Violet Gro lighting. Foundational to producing high quality finished products is ensuring that you start with high quality cannabis plants, which require the right type of lighting. Violet Gro’s LED lights give plants the light they need, but with less heat and lower energy than traditional indoor lighting. We are excited to continue to partner with more and more cannabis growers to help them light the path to better growing. Joining the presenting sponsor, TotusMJ, along with other event sponsors Cost Plus Hydroponics, and Cannabolish, we would like to congratulate all of the winners. Special thanks to the organizers at Hemp Connoisseur for putting on an incredible event. For more information about our lighting products, visit www.violetgro.com/products.